Annie Hide Your Guns? Justice Scalia Has Died. Betty Hutton, as Annie, couldn’t get a man with a gun. 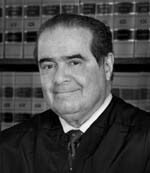 Some are worried that they won’t be able to even use their guns if President Obama gets to appoint a new justice to the Supreme Court now that Justice Antonin Scalia has died. I don’t know if that’s a worry worth worrying about, even if President Obama makes that appointment. Members of the court–left and right–are loathe to overrule themselves. Sure it can happen, and guns may be the issue that causes them to do so. But first, any Obama appointment has to get through the Senate and Senate Majority Leader Mitch McConnell already says that ain’t gonna happen. And so, I’ll just say that I’m going to miss Scalia. A lot. His humor. His writing. His intellect. No, he was not perfect as a man or as a justice, but he was good, very good on both counts. I was amazed at how the initial reports of his death stunned me.